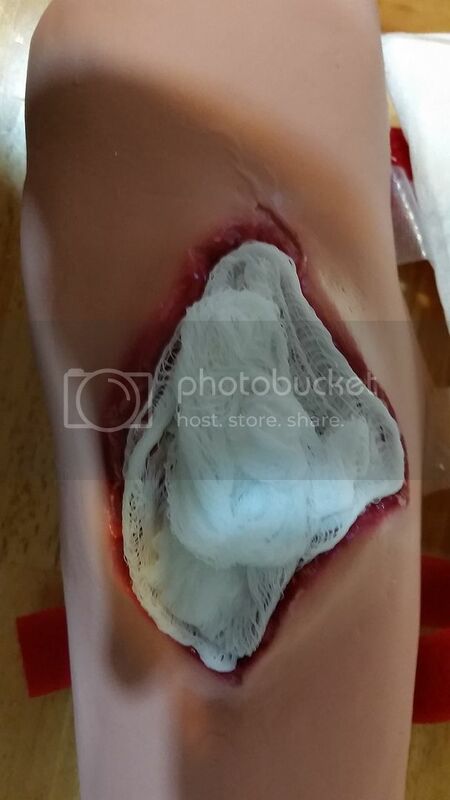 I really love the wound packing!!!!!!!!! You are on your way of getting this done Sue!!! This is soooooooo exciting and a GREAT way to start the weekend!!!!!!!!!!! It is difficult for me to gauge as this is only a 2D view.... with a 3D view (by being there) I would be able to definitively tell you if it is going out or it is fluffy (and it should be to increase the surface area and adhere so maximum slough could stick to gauze and removed from the wound). I would go a little closer on the longest wound edge a little more.... but make sure you are working from inside the wound (like shown in the video) and pressing the packing to the wound edge. Congratulations Sue on your CPNE SUCCESS!!!!!!!!!!!!!!!! Can you tell me which site did you test and when?